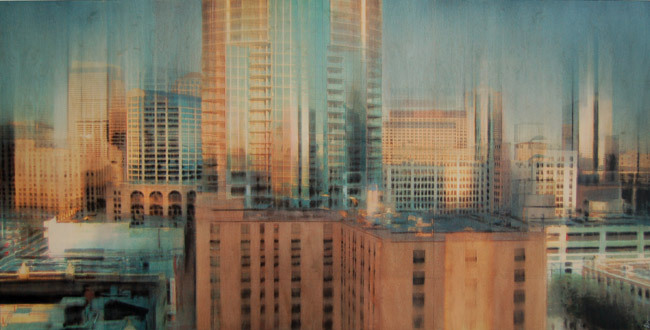 "My artwork documents the beauty of the urban landscape. The city is at equal times serene and chaotic; beautiful in complexity, surprising in intensity. Inspired by observing, wandering, imagining and remembering, these paintings are records of my travels and thoughts. I am fascinated by a reflected view and the intersection of inside and out. 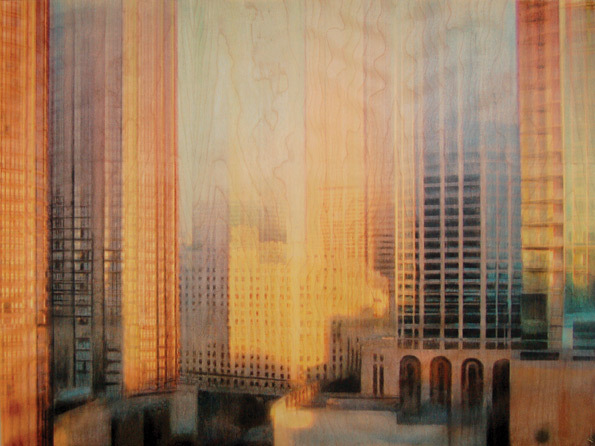 The city is always changing, always renewing itself and this persisting fascination remains the focus of my art. My work begins with photographs I've collected and lived with over time. 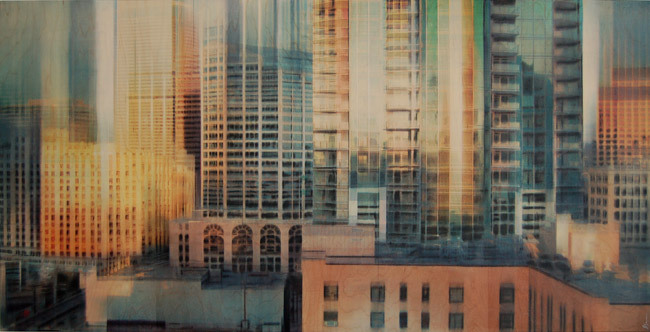 The photographs are altered and transposed into what becomes a personal view of the city that surrounds me. Photographs are then transferred to maple paneling, becoming a departure point. 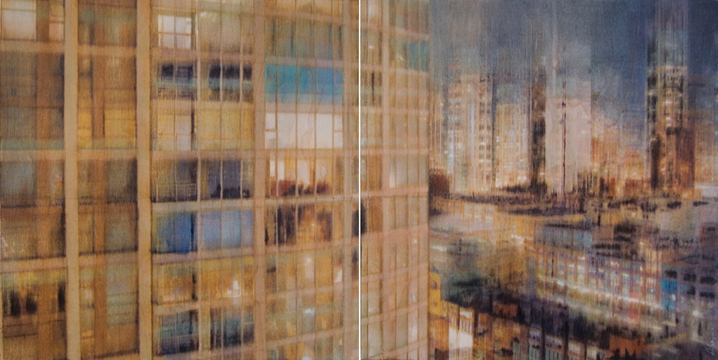 Charcoal, pastel and thin layers of acrylic glaze find their wayinto the work, altering and enriching the composition. The work is sanded and glazed in successive layers creating a surface which becomes as much a consideration as the subject itself."